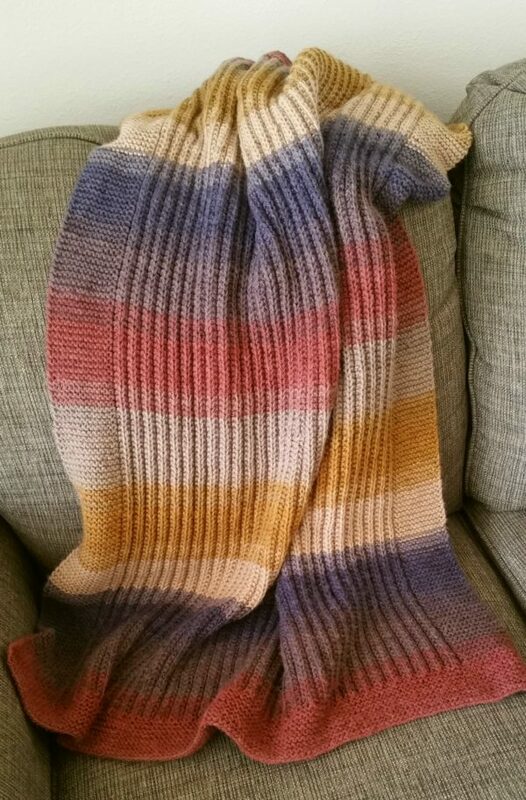 Found this wonderful, all knit ( no purls) pattern and designed this men’s laphghan using Lion Brand Mandala yarn – Centaur. Two skeins. 30″ x 40″ – Available on Etsy later this month or buy now.